All candidates for the degree of Master of Science in Civil Engineering or Master of Science in Environmental Engineering (MSCE or MSEE) are required to consult their advisor. In all programs, at least 16 hours of credit must be in the student’s major field. Also, 12 hours of credit must be obtained for courses numbered in the 500 series, and eight of these twelve 500 level hours must be taken for grades in the major field. No more than four of these eight hours can be CEE 597 Independent Study. A candidate for the MSCE or MSEE degree who is required or elects to write a thesis must complete at least 32 hours of graduate work (including CEE 599 thesis credit). A typical master’s program with a thesis includes 24 hours of course work and 8 hours of CEE 599 thesis credit. No more than 12 hours of CEE 599 thesis credit may be devoted to the MS thesis. Individual programs are developed by the students in consultation with their academic advisors. A faculty research advisor is required. A minimum of 16 hours of credit within the major field with 8 graded and at the 500 level. A minimum of 12 hours at the 500 level overall. A maximum of 8 hours of CEE 597 (or other independent study) may be applied toward the elective course work requirement. At least half of the minimum hours required for the degree must be in Illinois courses meeting on the Urbana-Champaign campus or in courses meeting in other locations approved by the Graduate College for resident credit for the degree. A candidate for the MSCE or MSEE degree who is not required or elects not to write a thesis must complete at least 36 hours of course work. Special requirements of the several areas of CEE are summarized in Appendix 2. All seven areas and the three additional areas of study (EWES, SRIS, SRM) are available for study. Students wishing MSCE programs that cannot be accomplished in any of the ten areas of specialization may submit their proposed plan of study directly to the Graduate Affairs Committee for approval. See Joan Christian in 1108 NCEL. Individual programs are developed by the students in consultation with their academic advisors. Faculty academic advisor required for classes. Required classes depend on area of study. Simple entry MS but not required. A candidate for the MSCE option must complete 36 hours of course work. Areas and classes are limited to those offered online, including Construction Engineering and Management, Stuctural Engineering, Transportation Engineering, and Sustainable and Resilient Infrastructure Systems. Additional classes in the areas of Construction Materials, Environmental Engineering, Geotechnical Engineering and Water Resources Engineering and Science may be offered. Information about fees and billing can be found on the main Engineering College site. At least one -half of the minimum hours required for the MSCE or MSEE degrees must be for courses meeting on the Urbana-Champaign Campus, or in courses meeting in other locations approved by the Graduate College for residence credit. A candidate for the master’s degree must complete all requirements for the degree within five calendar years after initial registration in the Graduate College. All M.S. candidates must complete a Plan of Study, which must be submitted for approval during the first semester of graduate work. A sample Plan of Study can be found in Appendix 3. There is no foreign language requirement of the M.S. degree. Credit for thesis research (CEE 599) cannot be applied to a degree unless a thesis is submitted. The thesis must be the work of a single author. For instructions regarding the format of the thesis, the student should look at the Graduate College website for Thesis and Dissertation. The format of all theses must be officially checked by the department. Joan Christian (jchristn@illinois.edu) is authorized to perform the departmental format check. Switching from 32 hour to 36 hour MSCE Program. Problems arise when an M.S. student decides at the last minute not to do an M.S. thesis and to switch from a 32 hour program with a thesis to a 36 hour program without a thesis MSCE degree. CEE Policy: Students will not be allowed to switch if the student's advisor does not provide written consent. Changing Areas of Specialization. M.S. candidates wishing to transfer from one departmental area of specialization to a new are a must have their credentials transmitted to the new area for review. If the new area accepts the transferring student, then the student may continue and complete his or her M.S. program in the new area. See Joan Christian in 1108 NCEL. The University of Illinois at Urbana Champaign policy prohibits awarding second degrees in the same area of specialization. CEE Policy: Except under unusual circumstances, a second M.S. degree is not permitted if the student is admitted into the Ph.D. program using the first M.S. degree as fulfilling the requirements for Phase I of that program. A second M.S. degree may be permitted if the student is admitted into the CEE MSCE program because the first degree is insufficient for some reason. In any case, the second (University of Illinois) MSCE degree course work should not duplicate the course work of the student’s first MSCE degree. 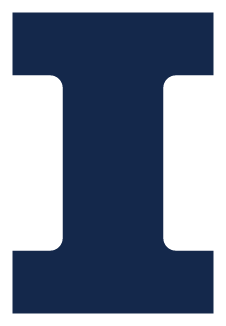 Students are responsible for notifying the Graduate College of their intention to graduate in a given semester; that is, students are responsible for placing their names on the “degree list.” Students must use the University of Illinois at Urbana-Champaign Enterprise Applications–Student Self-Service system to place their name on the graduation list by the stated deadline. The degree earned through the online program is the same degree awarded on campus. Courses offered online are the same as the on-campus courses. The degree earned and transcript records do not distinguish between online and on-campus delivery. The online program, courses, and sections are restricted to students in the online programs and are not intended for or available to university employees or students in on-campus programs. Students may request via graduate college petition to change their program code to complete a degree online, or vice versa. This request is subject to advisor, department and Graduate College approval. This program allows international students to spend their senior year at the University of Illinois at Urbana-Champaign, earn a Bachelor of Science degree from a participating international university, then earn a Master of Science degree in civil or environmental engineering from the University of Illinois in one year. Students typically spend three years at their home university and two years at Illinois to complete B.S. and M.S. degrees in five years. Students in the 3+2 program must maintain a 3.3 GPA. They may transfer a maximum of 8 hours from their BS to their MS degree. Follow the link to see with which international universities CEE has 3+2 agreements: 3+2 BS/MS Program. The College of Engineering is collaborating with the Gies College of Business to provide engineering students access to the iMBA program, the Illinois MBA program offered entirely online. This program will begin with MS students in CEE, who can apply for a limited number of available seats in a selected iMBA specialization for the 2018-19 academic year. Accepted students will be eligible to complete one of the core specializations in the iMBA program, Value Chain Management, with no additional tuition or fee cost. Click here for more information.